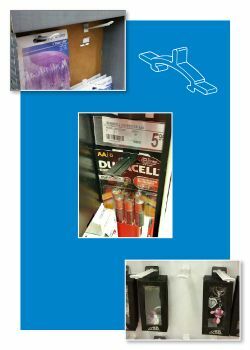 Does your packaging require hang tags? Please keep in mind, Clip Strip Corp. carries an extensive line of the best quality hang tabs available on the market! 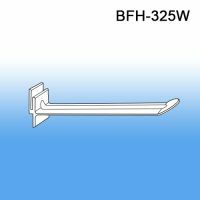 Minimum quantity for "2" Butterfly Power Panel Display Hooks - Plastic, BFH-322" is 50. 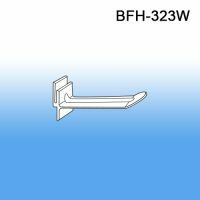 Minimum quantity for "3" Butterfly Power Panel Display Hooks - Plastic, BFH-323" is 50. Minimum quantity for "4" Butterfly Power Panel Display Hooks - Plastic, BFH-324" is 50. Minimum quantity for "5" Butterfly Power Panel Display Hooks - Plastic, BFH-325" is 50. Minimum quantity for "6" Butterfly Power Panel Display Hooks - Plastic, BFH-326" is 50. Minimum quantity for "7" Butterfly Power Panel Display Hooks - Plastic, BFH-327" is 50. Secures Product on butterfly hooks or moves it up on hook. 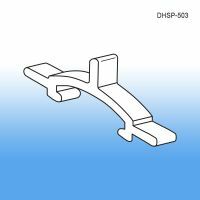 Minimum quantity for "Butterfly Display Hook Product Stop, DHPS-503" is 50.